Moldovan Minister of Economy and Infrastructure, Chiril Gaburici, met today with Romanian Energy Minister Anton Anton. The officials discussed common infrastructure projects to ensure the energy security of the Republic of Moldova. 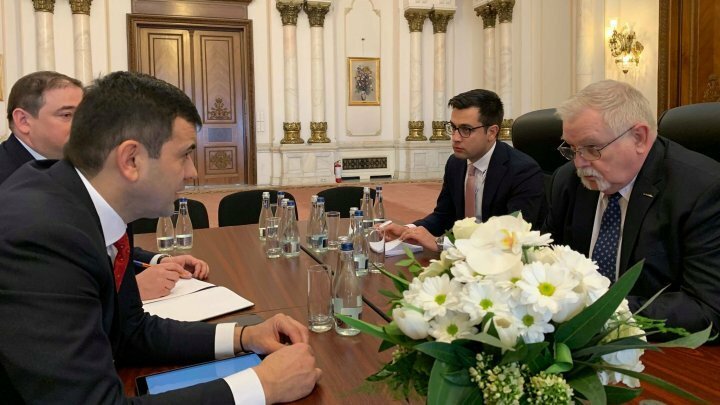 "I would like to reiterate the importance of Romania in the process of interconnection of the Republic of Moldova on the energy market of the European Union (EU) and the support that you give us in promoting the energy sector reform. We will continue to make maximum efforts for our country to have a safer energy sector with a growing number of suppliers, "said Minister Chiril Gaburici. In turn, Minister Anton Anton reiterated the intention of the Romanian side to support the Republic of Moldova in the realization of the energy infrastructure projects. "I am convinced that strong ties and relations between Romania and the Republic of Moldova as well as between our Governments will make dialogue more effective, facilitating the achievement of the objectives. I'm referring realization of investment projects regarding the interconnections to the Romanian energy system not only on the natural gas but also on the electric energy, "mentioned Anton Anton. In this context, the Minister informed about the efforts of the Moldovan authorities to ensure the sustainability of the energy sector. Chiril Gaburici mentioned that the subject of energy efficiency is one of the key elements to create sustainable development of an economy. The Republic of Moldova has demonstrated through concrete actions that it has fully engaged in the implementation of such measures.